Chrysantus Akem is the Coordinator, TAAT Program Management Unit. Prior to his appointment, Chrysantus was the Project Coordinator of the African Development Bank-funded project, Support to Agricultural Research for Development of Strategic Crops in Africa (SARD-SC). Chrysantus is a Cameroonian/Australian citizen. He obtained a BSc degree in Agricultural Sciences from the University of Louisiana, Lafayette, USA in 1983, and an MSc (1985) and a PhD (1989) in Plant Pathology from Oklahoma State University. He then joined IITA in 1989 as a postdoctoral fellow working on soybean pathology/breeding and later on also worked on the diseases of yam and cassava. 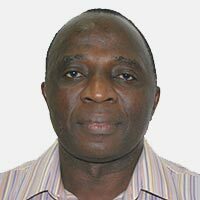 From IITA, Dr Akem moved to ICARDA as a Senior Legume Pathologist to lead a GTZ- funded project on the Integrated Management of Pests and Diseases in the Cereal and Legume Farming Systems of North Africa and West Asia (1996 to 2000). After immigrating to Australia in 2001, Dr Akem worked with the Queensland Government, leading several AusAID- funded projects through the Australian Center for International Agricultural Research (ACIAR), on the integrated crop management of tropical and subtropical fruits such as mangoes with national programs of the Philippines and Pakistan. He had also been leading Australian national projects on different vegetable crops grown under tropical and subtropical environments, funded by Horticultural Australia Limited.